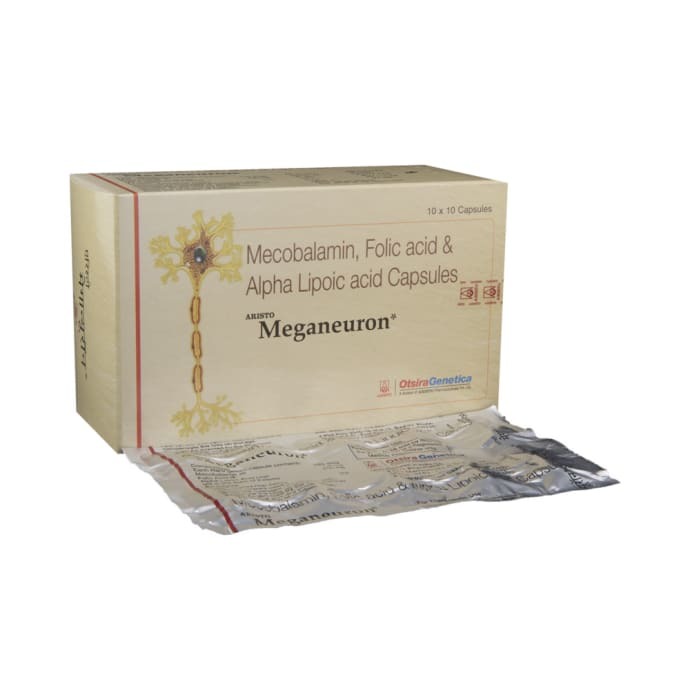 Meganeuron capsule contains Methylcobalamin, Alpha Lipoic Acid, and Folic acid. 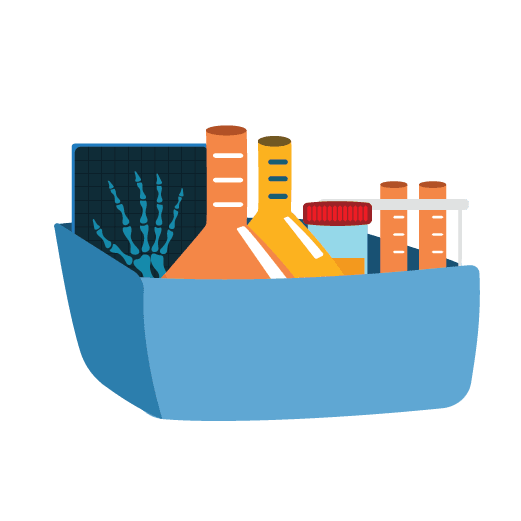 Methylcobalamin is an essential nutrient for neurons and Alpha Lipoic Acid is a powerful antioxidant that protects the neurons from oxidative stress. The trio of Methylcobalamin, Alpha Lipoic Acid and Folic Acid helps in bringing down the plasma level of homocysteine, the major risk factor for Atherosclerosis. Alpha Lipoic Acid prevents plaque formation in the arteries by preventing LDL oxidation. Thus Meganeuron reduces the major risk factors for Atherosclerosis. Useful in various Neuropathies like Diabetic Neuropathy, Alcoholic Neuropathy, Drug-induced Neuropathy, Trigeminal Neuralgia, Sciatica. Also useful in reducing homocysteine levels. 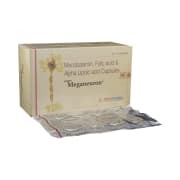 A licensed pharmacy from your nearest location will deliver Meganeuron Capsule. Once the pharmacy accepts your order, the details of the pharmacy will be shared with you. Acceptance of your order is based on the validity of your prescription and the availability of this medicine.